To rectify in the next revision??? please read the current manual, chapter2, Page 8, "Note that FlightSim Commander used data..." . 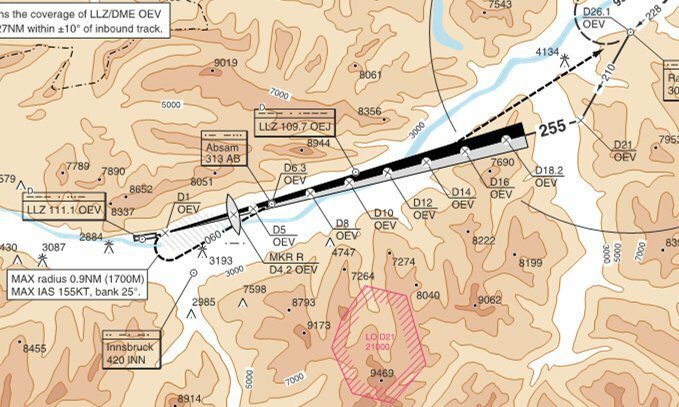 How can we change the ILS'es data? In the launch of FSC8 Dated Manager it is FSC8 who opens, not Dated Manager!!! I think you did not understand what Volker mean. 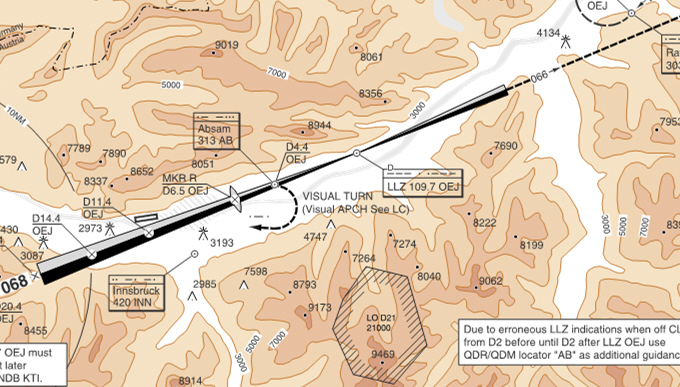 The ILS on a airport are readed informations from your FS Scenery. Thes informations are not included in Airac and not in FSC-Code. You have a Problem with your Scenery. I have the GAP-Scenery an no Proplem with this. Thank Eric for your answer. Problem appeared since the installation of Airac 810. With Airac 711 installed by origin on FSC the airport LOWI is as that represented on your message. 1. Backup your entire FSC Directory (We will be carefull). 2. Delete the Airport.fsc and the ils.fsc files, they are lacated in FSC\database\FS09 or FS10(whatever your fly). 3. let running now the FSCdbmanager. I think, what Rolands screenshoot shows is correct and in your sreenshoot is the west prozedure missing. Have a look at the copies from the corresponding east and west procedure below (act. nDAC charts). You'll see that the west procedure doesn't point to the airport, but to a point (LLZ 109.7 OEJ) some miles east of LOWI. And thats the reason for the "ghost". BTW: How did get the river in your screenshoot ? thank you for your help, you have right. This is the west procudure for LOWI. You wrote How did get the river in your screenshoot ?